I am not a professional guitar repair technician, nor am I a world-class builder… not at all. But I have walked down this road that you are about to embark on many, many times. I have spent countless nights scratching my head, trying to figure out where a mysterious buzz was coming from or why my new neck was crooked. I can’t promise you that you won’t have a few of these head-scratching moments, but I will certainly do what I can in this article to minimize them and help you avoid some of the classic mistakes that I’ve made and then learned from. 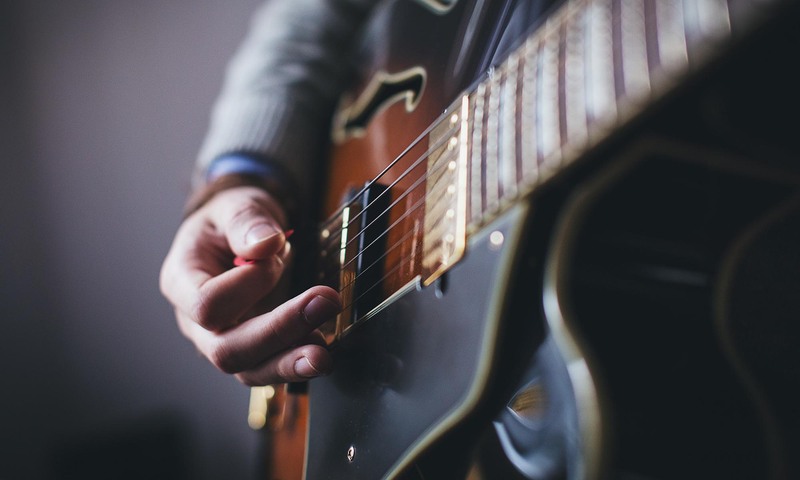 When you are curious about your instrument, how it works, and how you can make it better, you’ll find that building your first guitar will have a big impact on your musicianship. You still have to practice every day of course, but your intimacy with your guitar will become a big part of your sound and technique. I would not trade one second of those head-scratching moments for anything; they start to add up and they allow you to become knowledgeable about guitar modification. The easiest way to start out is to buy a complete guitar that is a mess and spruce it up: change the pickups, change the tuners, install better pots, etc. In each step of building your first guitar, you will encounter minor issues and as you solve them, you will learn important lessons, but in this scenario, you will always have a complete working guitar, so there is much less pressure to get the patient to show a pulse. I did this for a few years before I attempted to build a complete guitar from scratch and I learned a lot by upgrading the various aspects of the guitar, all the while knowing that I could roll back my changes at any given time if things got too rough. Building your first guitar from scratch will include a lot of details. If you decide to do so, avoid trying to do everything at once. The key to keeping this fun is to be smart about how much you take on, and to leave some things for next time. A perfect example is the finish: messy. Leave that for next time. Try to go with a 100% finished body and neck this time, and maybe the next project can involve a prep and paint job (believe me, this is more than a notion, and if it does not go well, you really do have to start over). Grab a finished guitar body, either on eBay or from one of the several online retailers out there, all of whom, I can assure you, have pretty solid stuff. Obviously, the more expensive ones like Warmoth are of higher quality. The biggest distinction between a Telecaster and a Stratocaster with respect to building, is the control plate. Whereas you need to completely remove the strings on a Stratocaster guitar in order to access the electronics, with a Telecaster guitar you do not; the control plate can be removed completely without disturbing the strings. This is helpful because as long as the wires from the pickups to the electronics are working correctly, you can remove the control plate and fix / experiment with the electronics while the guitar is tuned. This makes adjustments a snap. With a Stratocaster, if anything does not work, you need to completely remove the strings, and then remove the pick guard to get at the electronics. What a pain in the neck. In some cases, your Stratocaster body might be rear-loading, which, essentially, makes this process as easy as a Telecaster. With a standard Stratocaster, however, you will need to remove the strings. Because of this, you’ll need to really make sure that everything is working as well as possible before you put the strings on. This is more of an art than a science. On paper, you can wire everything up right and really feel 100% sure that everything will work fine, only to find that when you screw the pick guard back on, put new strings on, stretch them and then tune them, there is a short or a buzz in your wiring. You just wasted several bucks on a new set of strings, and have to go through the hassle of removing everything again to fix it. The way to test everything is to tap the pickups with a screw driver. This may sound a bit odd but hang in there with me. Once you have wired everything up and are ready to put the strings on, plug your guitar in, and put it through an amp with a bit of drive… not too much, just a little. Then tap the bridge pickup with a screw driver. There should be a very healthy “thump” as you do this. Roll the volume and tone knobs back and forth, testing that the volume and tone change accordingly as you tap the pickups with the screw driver and change the settings. Now do the same with the rest of the pickups. The loudest and strongest “thump” should come when you tap each pickup individually. When you have placed the pickup selector switch in one of the positions where multiple pickups are selected, the “thump” should be a bit weaker. When you do this, don’t forget to test both pickups. The best way to prepare for this technique is to do the “thump” test while your guitar is wired up and working properly. This will allow you to tune your ears to the way a healthy “thump” sounds. The point of the “thump” test is that when the “thump” does not quite sound right, you can investigate before having put the strings back on. There are other things to consider when you’re building your first guitar. If you have an unlimited amount of money to spend on your project, then you can skip this section. If you are working within a strict budget, however, then it’s important that you allocate funds wisely. Whatever you do, do NOT skimp on the neck. While everything has an effect on your sound, the two parts that have the biggest effect are the pickups and the neck. There is just no point in getting a super-fancy body with AAA quilted maple and then wind up with a sub-standard neck that does not feel right in your hands. Worry about the neck first, pickups next, body third. Again, everything is important, but the neck is where you make the most contact with the guitar; it has to feel right. Think about what back shape you want for the neck, what kind of finger board wood you want to use and what size frets you want. It all maters. The most important thing about building your first guitar is to have fun! If you don’t enjoy it, then it will feel like work and you will risk either not completing your project or never doing another one again. If possible, get the best neck you can afford and get a few sets of pickups. Once your guitar is complete, you can experiment by swapping out the pickups with other ones and see how much the sound can vary. I would almost recommend you get the crappiest body you come across. Why? Because the body is the part that takes the greatest beating when you build a guitar. Everything gets screwed to the body. Screw holes get soft and stripped, your soldering iron can slip when it’s hot, etc. There’s no point in spending a lot of money on a really nice, shiny body when at the end of the day, it is just going to get scratched up. Take the best care of your neck, keep it clean and keep it in a safe place. Take good are of your pickups, but don’t worry too much about them. Most pickups are affordable and easy to replace. If you are using super expensive or rare vintage pickups, then yes, take extra special care of them. Once you have built a few guitars and have a strong idea in your head about how you like to go about it, then it makes more sense to use a more expensive body, as there will be fewer mistakes, nicks and scratches, etc.